United States Conference of Catholic Bishops Publishing House, 2017. 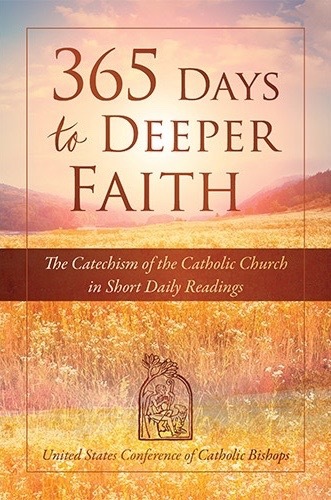 This first-of its-kind guide to the Catechism of the Catholic Church will help you read through the entire Catechism in just one year! 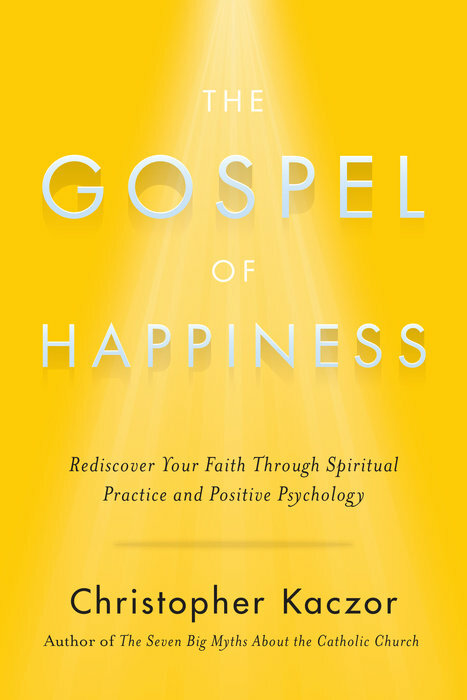 “At last, a Christian perspective on Positive Psychology that ratifies scripture by presenting the latest evidence-based science. Kaczor soars when he shows how Christian practices are the way to find fullness and freedom of life. Impressively integrative, reading this book was simultaneously edifying and enjoyable.” —Robert A. Emmons, Professor of Psychology UC Davis, Editor-in-Chief, The Journal of Positive Psychology, author of Gratitude Works! and Thanks! How the New Science of Gratitude Can Make You Happier. The Seven Big Myths about Marriage: What Science, Faith, and Philosophy Teach Us About Love and Happiness. 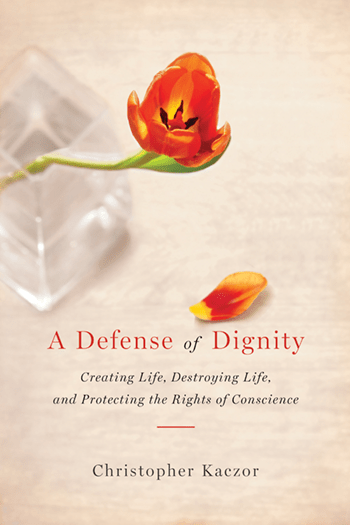 A Defense of Dignity: Creating Life, Destroying Life, and Protecting Conscience. The Seven Big Myths about the Catholic Church: Distinguishing Fact from Fiction about Catholicism. San Francisco: Ignatius Press, 2012. O Rare Ralph McInerny: Stories and Reflections on a Legendary Notre Dame Professor. editor. South Bend, IN: St. Augustine’s Press, 2011. 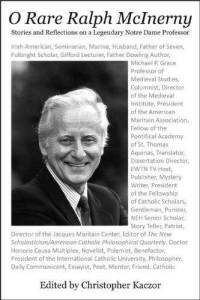 During more than a half century at the University of Notre Dame, Dr. Ralph McInerny’s legendary achievements include writing more than 50 non-fiction books in philosophy, medieval studies, and theology, as well as more than 90 novels, including the Father Dowling Murder Mystery series. This volume offers personal reflections on the man himself and what he meant to so many over his rich life of teaching, writing, and contributing to the life of the mind. Contributors include Alasdair MacIntyre, Cardinal Francis George, Ralph’s brother D.Q. 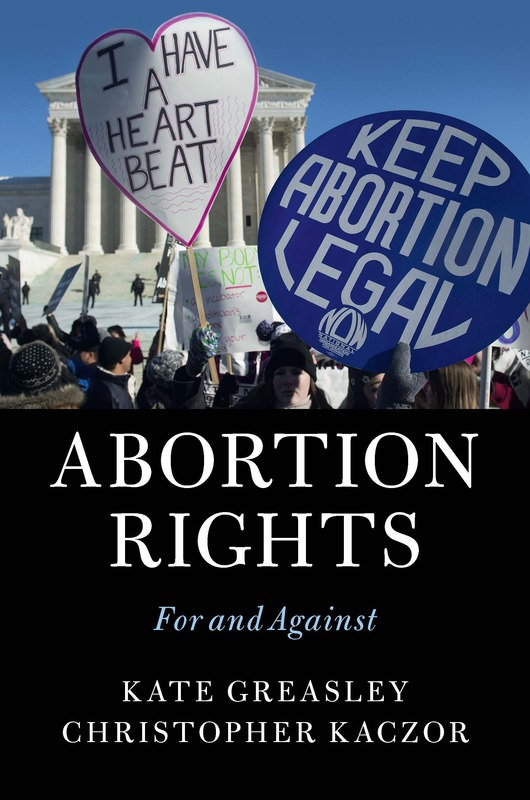 McInerny, Michael Novak, John Haldane, Joseph Bottum, Thomas De Konick, Jude P. Dougherty, Gerard V. Bradley, Fr. Marvin O’Connell, and many of Ralph’s colleagues and students who aim to capture some of the ‘more’ that was McInerny, a more that cannot be captured by any curriculum vitae, even one as impressive as Ralph’s. The stories, anecdotes, and reflections in this volume give us various snapshots of the man that cannot be found in news accounts, press releases, or academic evaluations. A person as great as Ralph should not live merely in memory, so some record such as this volume written his friends, colleagues, and former students becomes appropriate. Also included is a full list of all the books – fiction and non-fiction – authored by McInerny as well as enumeration of his forty-seven doctoral students and their dissertations completed under his direction. Finally, the collection is rounded out by five contributions by McInerny himself: a poem about his late wife Connie, a scholarly article “Why I Am a Thomist,” a popular essay, “Mementoes Never Die,” an early Roger Knight mystery entitled “Dust Abhors a Vacuum,” as well as his last written words. Thomas Aquinas on the Cardinal Virtues: Edited and Explained for Everyone. co-author. Naples, FL: Sapientia Press of Ave Maria University, 2009. Arranged for beginners, Aquinas on the Cardinal Virtues contains select passages from the treatment of justice, temperance, courage, and practical wisdom found in Thomas’s Summa theologiae. Copious footnotes treat matters of historical, philosophical, and theological interest to the contemporary reader making this book ideal for classroom use or individual study. Thomas Aquinas on Faith Hope and Love: Edited and Explained for Everyone. Naples, FL: Sapientia Press of Ave Maria University, 2008. Thomas Aquinas on Faith, Hope, and Love provides essential passages from Thomas’s treatment of the theological virtues in the Summa theologiae, edited and explained for classroom use or the independent reader. Arranged for beginners, this book contains passages of great historical import, contemporary relevance, and intrinsic interest combined with abundant footnotes aiding the modern reader. 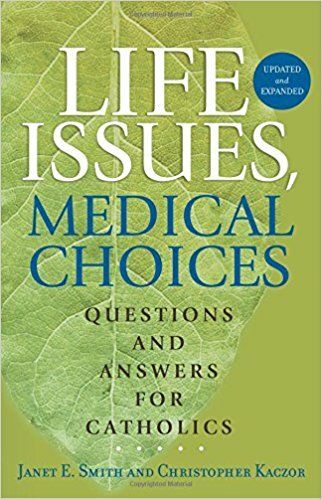 Life Issues, Medical Choices: Questions and Answers for Catholics. Co-author. Cincinnati, OH: Servant Press, 2007, 2nd edition 2009, 3rd edition 2016. How to Stay Catholic in College. [booklet] El Cajon, CA: Catholic Answers Press. 2007. More than 150,000 copies sold. 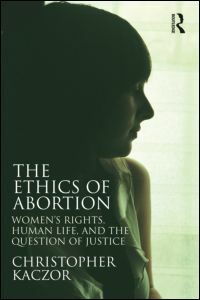 The Edge of Life: Human Dignity and Contemporary Bioethics. Philosophy and Medicine Series. New York/London: Kluwer Academic Publishers, 2005. Proportionalism and the Natural Law Tradition. Washington, D.C. 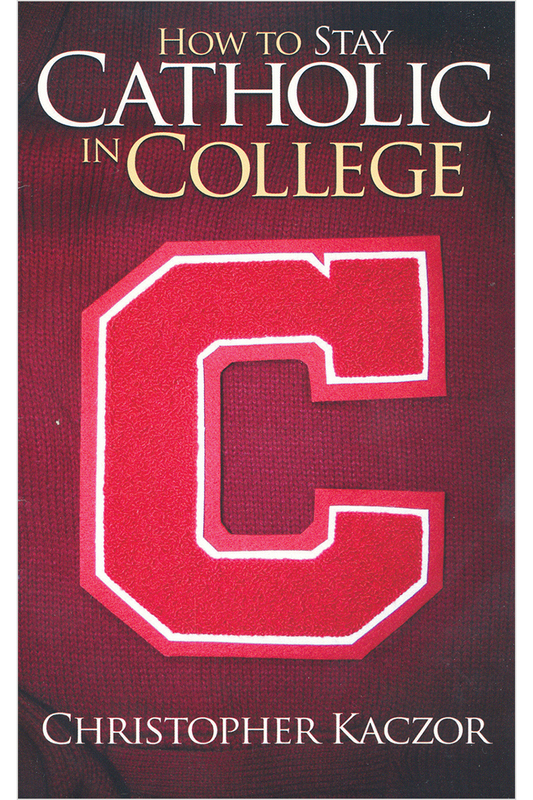 The Catholic University of America Press, 2002.